This smooth black leather double sided cigarette case can be custom engraved with anything you like. 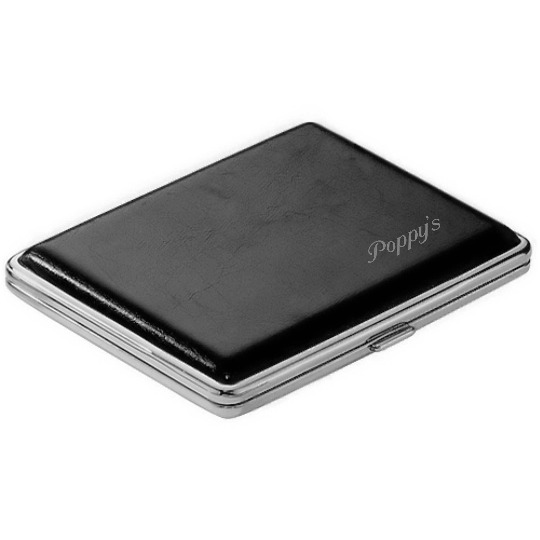 Our personalized cigarette cases make great gifts for any smoker. This can also double for a business card holder as most sized card fit the case. All of our high quality cigarette cases are precision laser engraved by our expert team of engravers with a very quick turnaround time. Size: 3.5" X 4.5" X 0.5"